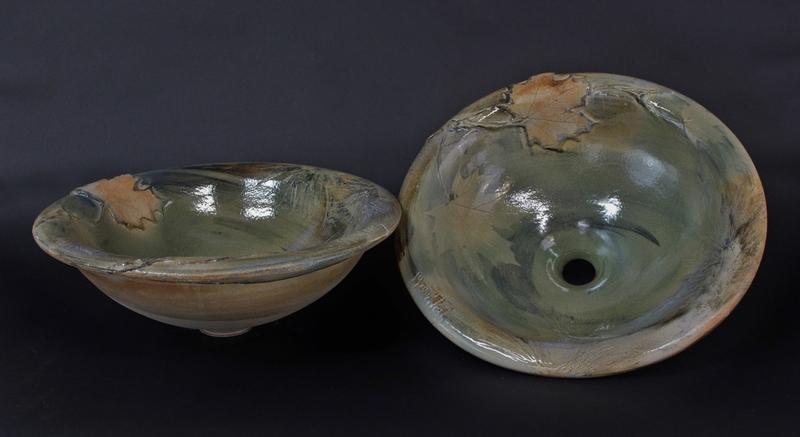 We generally have about 10 sinks at our gallery available for purchase at any one time. The sinks on this page are a few of those that we currently have on hand. 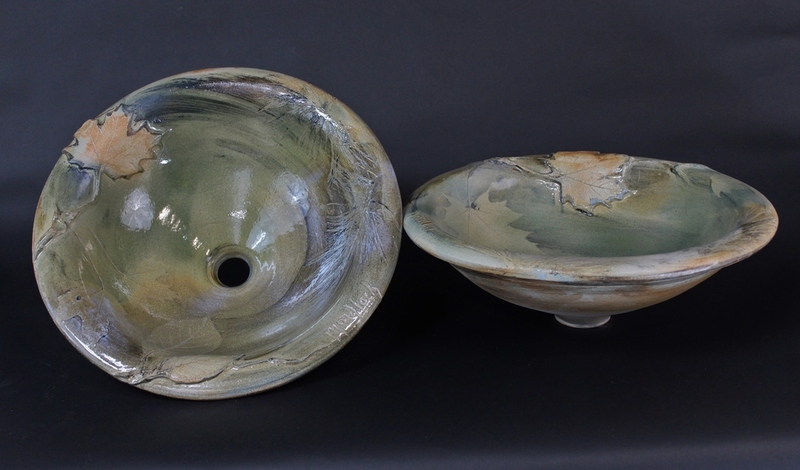 Please e-mail mondloch@silvercreekpottery.com or call 920-994-9568 if you have questions about our sinks. 14" rim diameter. 3" rise above counter. Tan/cram/green. Fern and pine impressions. $250. Available at our home studio or shipped for $75. Green/tan/a little blue. Maple and pine. $325 each. Available at our studio or shipped for $75. White/tan/blue. Wild grape and sumac. $325 each. Available at our home studio or crated and shipped to you for $75. $275 each. Available at our gallery or shipped for $75. Copyright (c) 2019 Silver Creek Pottery. All Rights Reserved.